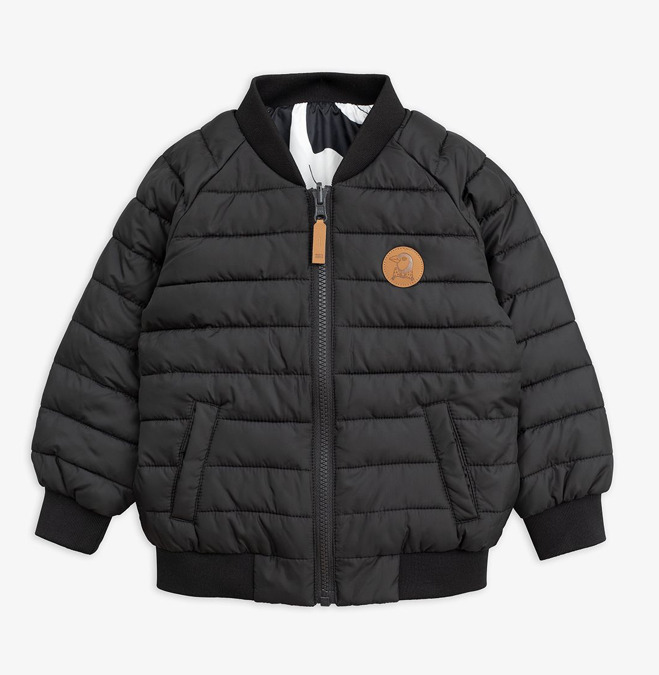 Lightweight puff jacket in recycled polyester with a faux leather penguin patch matching the zip sliders. 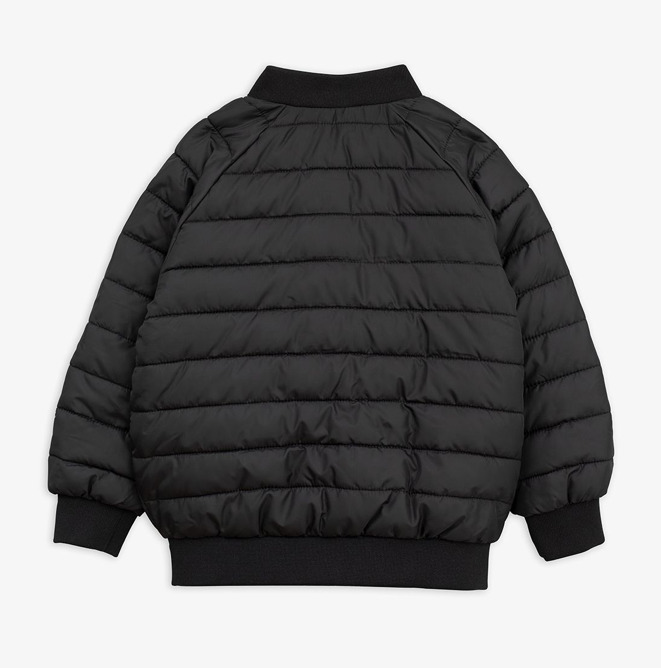 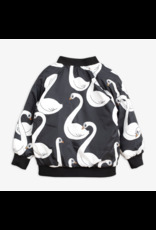 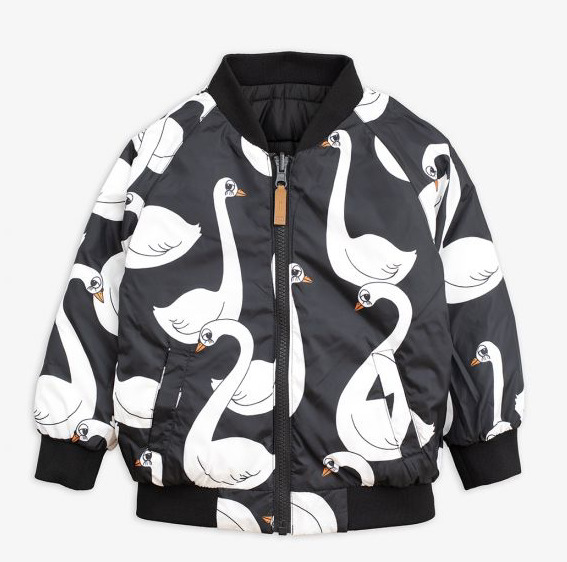 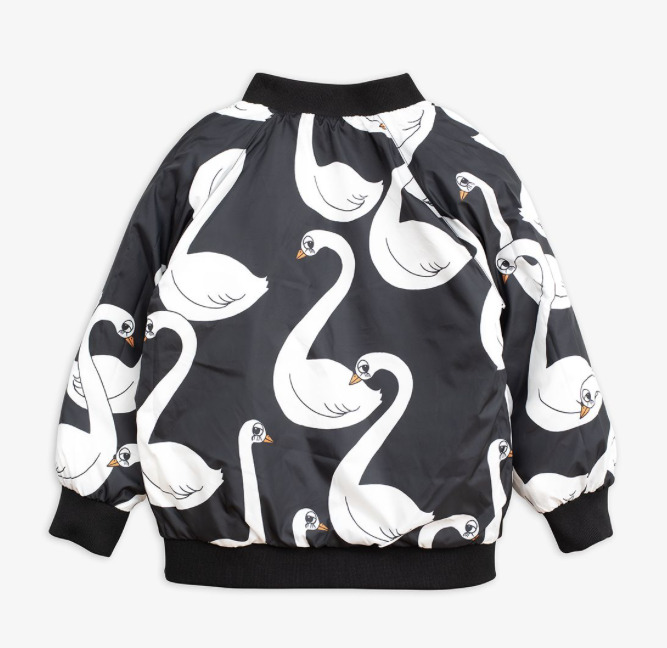 The jacket reverses from quilted black to a black and white swan print. 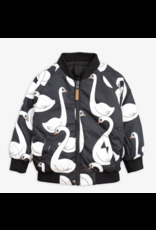 Wear the jacket separately or together with, for example, Mini Rodini’s Edelweiss or Pico jacket. 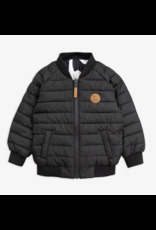 • Reversible from black to printed • Rib cuffs at sleeve and waist • Zip and two pockets at front • Shell 100 % recycled polyester • Lining 100 % recycled polyester • Padding 100 % recycled polyester • GRS certified • Made in China The recycled materials used to make this are jacket are GRS certified which ensures that the fabric consists of recycled materials made from, for example, PET soda bottles, discarded fishnets and used clothes. 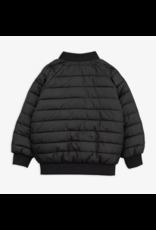 GRS is the strictest certification for recycled materials on the market today and includes rigid controls of especially chemical use and tracking, but also working conditions.